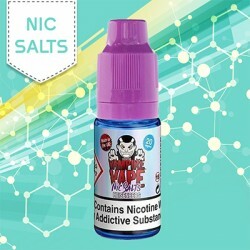 Nicotine Salts - Nic Salt E Liquid uk - Cloudstix. Nicotine salts, is the use of the natural salts that form in the leaf of tobacco plants. 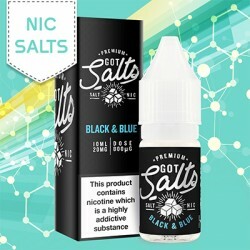 The nicotine salt is considered to be a more stable alternative to freebase nicotine, but it also can give the user more nicotine in a smaller quantity of e-juice. 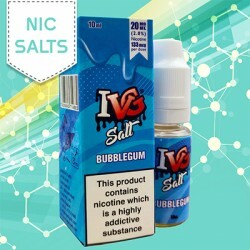 One benefit that is provided from nicotine salts, is that the user will have a quicker absorption rate into their bloodstream than typical e-liquids, from their vaping device. 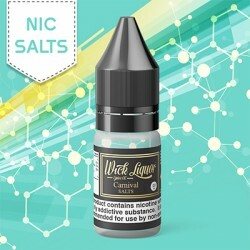 This people whom have tried vaping and previously thought it was too weak should 100% look to Nicotine Salts. The name is slightly misleading, but don’t worry, there is no salt in these e-liquids. Most people who vape nicotine salts, use it to quit smoking or extend the craving period between vapes. 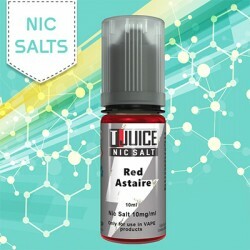 Nic Salts although typically a high dosage are not harsh at all and in fact much smoother than regular e-liquid at high nicotine levels. 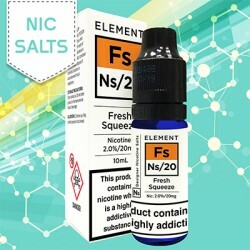 Please browse our range of Nicotine Salt E-Liquid below. 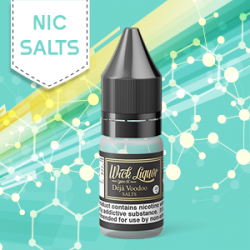 We hand pick the finest flavours and companies to work with in our selection so that you can avoid some of the really poor quality Nic Salt e liquid sold via other outlets. There is something here for everyone, Tobacco lovers, Menthol fans right through to exotic melt in your mouth delights. If you have any questions please contact our team. Vampire Vape Heisenberg Nic Salt The award winn..
NS 20 555 Tobacco E-Liquid All the authentic fl..
NS 20 Fresh Squeeze E-Liquid All the intense fl..
NS 20 Keylime Cookie E-Liquid The immense origi..
NS 20 Neon Green E-Liquid The award winning Neo..
NS 20 Pink Lemonade E-Liquid Bubbles of devine ..
NS 20 Strawberry Whip E-Liquid Fresh Strawberry..
NS 20 Watermelon Chill E-Liquid Crazy, fresh, r..
Vampire Vape Pinkman Nic Salt The devine fruit ..